You can search the world for happiness but you won't find it until you start being content with what the Almighty has already given you. Ismail ibn Musa Menk, also known as Mufti Menk, is a Muslim cleric and Mufti based in Zimbabwe. When giving advice, do so kindly. Do it sincerely with patience. Don't do it to show that you are more intelligent or better than others. There's no need to be popular & win the approval of others. The Almighty did not create you for this purpose. Stay true to yourself. And the same applies to the spouse. You know you love them, but you need to say it again and again. Like we got to the food, moments ago, and you need to say: "This food is – mashallah – it's really, really great". Even if the salt is a little bit more. Because sometimes, as I was saying, she spent so much time bringing it in front of us – and we are worried about how it's smelling, number one, and number two is we say, as we taste it, "The salt is too much, no?" What are you talking about? She just looks at you and her face flops. «I've been at it for three hours here, four hours I've been busy with this for so many months...» And what does she even say? "Next time I'll try a bit harder" – that's if she's a good woman; if not, she will say: "Never gonna cook this again!" It's typical. And if you have someone who is very witty: "The next time there's salt to be put in, I'll call you to put it." So we need to praise the cooking of our wives, we need to praise their dress code, especially... For example, I can let you know something that has worked, for some people. When you find some women, you know, they don't like to dress appropriately, so the husband sometimes wants to tell them something. There're two, three ways of doing it. You can either say, "This is very bad, I don't want you to wear this." And, you know, you might have a response. But if you want a response from the heart, what you do is, you tell them: "The other dress looked much better than this." You see, so you are praising one thing, and that praise is not there when the other thing is there. So, you have told them, in a way, that «this is what I really love». And go beyond the limits in praise – that's your wife, don't worry, you can say whatever you want, mashallah, in terms of goodness. Like the food, when you eat, even if it is a little bit this way or that way, just praise it, mashallah. See what it is. Praise the effort, at least. Let me tell you what has happened once. They say the imam in the mosque had said: "You need to praise the cooking of your wife". Just like I said now. So the man went home, and he had this meal, and he was looking at it, and looking at his wife, and smiling, all happy, mashallah, excited and everything. And when he finishes, he says: "Oh! It was awesome!" And the wife says, "What? I've been cooking for you for 21 years, you never said that! Today, when the food came from the neighbor, you want to say it was awesome?" We have a problem in life. When we have a problem Allah says, "Don't worry, with that difficulty, there is ease." "Indeed, with every difficulty [or, with difficulty] there is ease. And indeed, with the difficulty there is ease." [...] May Allah subhanahu wa ta'ala alleviate the suffering that we are all going through in our own little ways. Remember it's a gift of Allah. To keep you in check sometimes. To keep you calling out to Him. May Allah open our doors. We all have examinations in life, different types of examinations. And each one has to try very hard. As you know, in a set up where there is a school, or a university, at the end of every semester, trimester or term, you would have some examinations, in order to qualify you to get to the next level. And as you progress in life, the examinations become more and more difficult. And you would know that without working, we don't achieve. We know the common saying, "Whoever works very hard will definitely see the fruit of that particular working." So just like we have people who fail because they did not work hard, or they did not understand that the examination would become more and more difficult as time passes, we also have an issue with the Dīn where, as we progress in life, we will have more and more tests, and they become more and more difficult until we meet with Allah subhanahu wa ta'ala. And this is why the Prophet S.A.W. was told "Worship your Rabb [Lord] until death overtakes you. Worship your Rabb until the end. Right up to the end. Keep on worshiping. Continue. Do not stop, do not pause, do not lose hope. In fact, progress and become stronger and stronger." If you take a look at some of the other verses of the Quran, Allah subhanahu wa ta'ala makes mention of Muhammad sallā llāhu 'alay-hi wa-sallam delivering the message. It was not easy. And it was difficult, he faced so many challenges. He continued, and he persevered. Twenty three whole years of nubuwwah. And Allah subhanahu wa ta'ala says, when you have, Subhan Allah! Subhan Allah! You know, the achievement that Allah subhanahu wa ta'ala granted him, Allah subhanahu wa ta'ala will grant each person achievement according to his will obviously but also connected to the effort that that particular person makes. If we were to give up suddenly, we would never be able to achieve even Jannah. [...] So it's important for us to know that to give up... you don't know how close you are to the end! Imagine a person digging a tunnel, for example, and right when they are near the end they suddenly give up thinking that you know what, I don't know how long this is going to carry on for. Had they carried on for a minute longer they would have broken through! So with us we need to continue, fulfill your Salah, progress, develop. Don't think for a moment that life is going to become any easier. The only thing that will happen is, with the development of the link with Allah subhanahu wa ta'ala, we become more content, we understand the nature of the world. We understand the nature of the tests of Allah subhanahu wa ta'ala, so we enjoy going through them in the sense that we are content. We are happy with the decree of Allah subhanahu wa ta'ala. So my brothers and sisters, not only do I say work hard to achieve here in the Dunyā – and may Allah bless you and grant you success in these examinations – but even in the Akhirah we ask Allah to bless you, to open your doors. To prepare for the Akhirah, it's not an easy task, but with the hope in the mercy of Allah subhanahu wa ta'ala things will be made easy, and at the same time, with the constant preparation, without giving up hope – never ever giving up, never saying no, never just throwing the towel – by the will of Allah subhanahu wa ta'ala we will achieve, and we will achieve great heights. Islam, it means peace, it stands for peace, it promotes peace, it teaches peace, and everything that you will achieve is peace. My beloved brothers and sisters. On the globe, several incidents have occurred that make it necessary for us to speak about them, and guide the Muslims in their regard... It's important for us to know that as Muslims, we don't understand what part of Islam these people [terrorists] are following. In fact, we don't even understand what Islam they are following, because Islam is a totally different religion from what these people are practicing... As frustrated as we might be because of what might be happening on Muslim lands, it does not give us the right to go out and hurt people who are not at all involved... If you have a problem with someone, you may report them to the authorities. And then it will handled by the courts. You will either get justice at the courts or sometimes maybe the courts may find someone that you believe is guilty, innocent. In that case, you leave it for the day of judgment, when Allah subhanahu wa ta'ala will be judge. But you do not take it into your own hands, to say now because the court has found this person innocent, and according to me the person is guilty, "Let me harm them, let me kill them, let me hurt them, let me rob from them". That is absolutely incorrect and it is un-Islamic... Two wrongs do not make a right, remember this... If someone has murdered someone else, Subhan Allah, it does not give us the right to murder a third party altogether. May Allah subhanahu wa ta'ala protect us, and may Allah grant us guidance and ease. It's important we understand this. The world is bleeding today, and people are blaming the Muslims! Because from amongst us, some are being brainwashed. Brainwashed by what? They do not understand verses of the Quran. They don't understand the Asbab al-Nuzul, or reasons of the revelation of the verses of the Quran. They don't understand how to extract rules and regulations from verses of the Quran. They read something, someone shows them something and next thing they are prepared to give up their lives. May Allah subhanahu wa ta'ala grant us an understanding. We should be giving up our lives striving to earn the pleasure of Allah subhanahu wa ta'ala through obedience, through Salah. Look at Muhammad sallā llāhu 'alay-hi wa-sallam when he went to Ta'if, look at his example. They beat him up personally, physically, he was bleeding and the angels came to him to say "If you want, we can crush these people between the mountains". What did he say? He said "I am sent as a mercy. We don't want that to happen. If they don't accept, perhaps their children will accept." Patience, Sabr... And we think that the non-Muslims are our enemies – the minute we think that, automatically we will not be able to call them towards Islam. And they will get the wrong image of Islam. 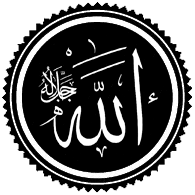 My brothers and sisters, Islam, it means peace, it stands for peace, it promotes peace, it teaches peace, and everything that you will achieve is peace. In this world peace, in the next peace, in your grave peace, with your children peace, in your environment peace. That is Islam. Anything that destroys that in any way is not Islam. Remember this.